So how about making the world’s best pesto? 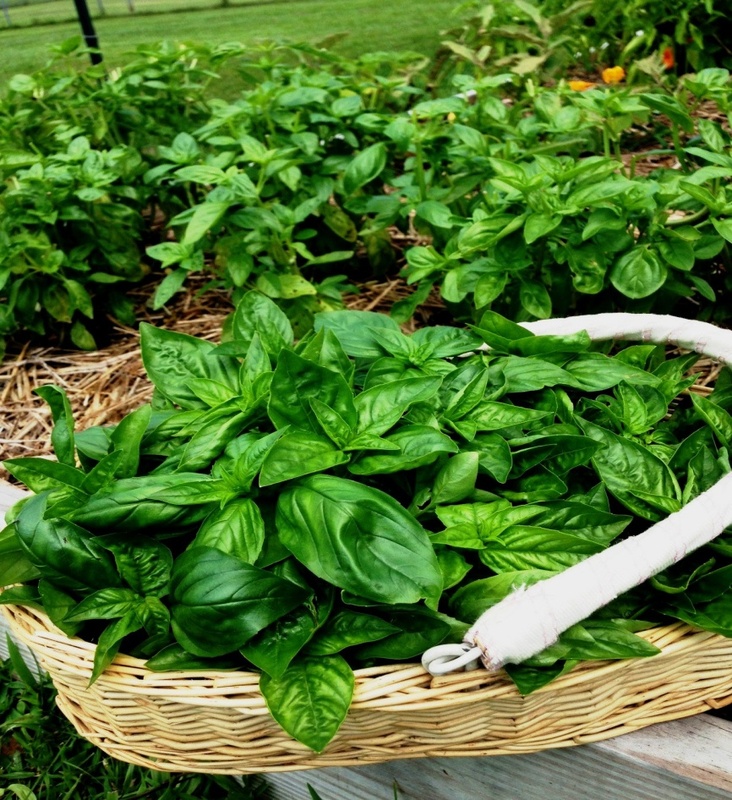 It’s time to harvest the basil in our garden—the night temperatures are starting to dip, and this heavenly flavor shouldn’t be lost just because fall and winter are coming on. With this goal in mind, I went sleuthing the Internet for said recipe. One of my favorite sites, Food 52 (www.food52.com) didn’t let me down. Their article, “The Quest for the—Genius, Elusive—World’s Best Pesto Recipe” (by Kristen Miglore) featured the recipe of pesto-making champion, chef Danny Bowien. Also included was some very helpful information on pesto-making technique. Kristen says that what seems to make the difference is allowing the basil to quickly and completely whir into a generous amount of olive oil. The more mulched-up bits of basil that lollygag around getting exposed to air—and the longer they're slashed at by ever-warming blades to get there, the more oxidation there will be (i.e. exposure to oxygen, and deterioration of color and fresh flavor). But by suspending the still-fresh basil in a cushiony coat of oil, almost like a loose, green aioli, you largely cut off its access to air. Oil creates an anaerobic environment, which is why botulism can pose a risk if you keep pesto around in the fridge longer than four days (so don’t do that—freeze it instead). But this also means less oxidation, which means that Bowien's pesto is constantly glowing back at me when I open my fridge. Yes, you could also blanch the basil leaves, then shock them in an ice bath to stave off oxidizing, but their flavor will be dulled as well. This is knowledge derived from testing, and not just an opinion from the folks at Food 52. Then there’s always pulverizing your basil in a mortar and pestle. 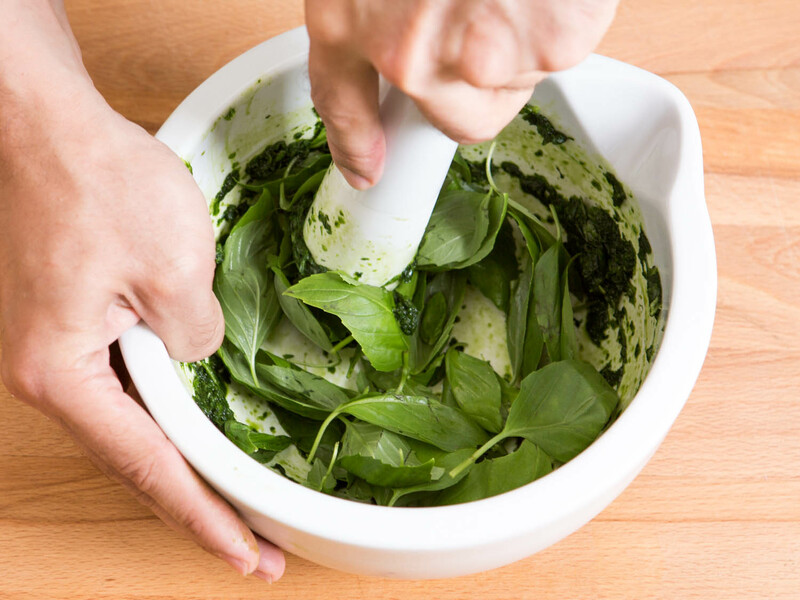 The end result won’t be as smooth, but your pesto might have an even more delicate flavor. 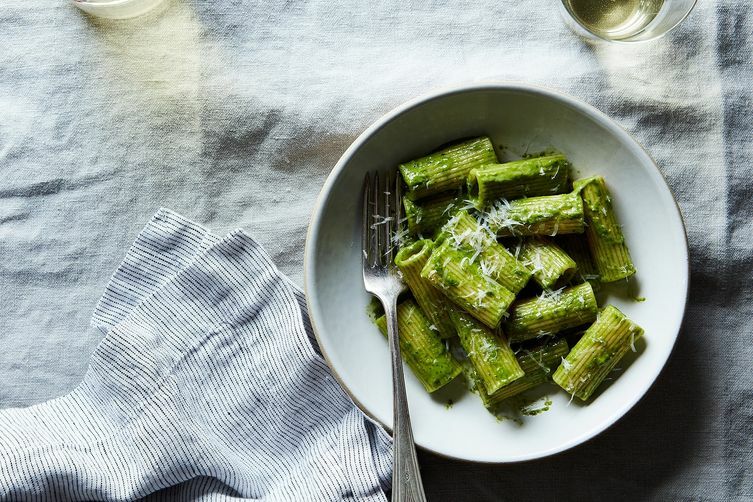 The features that international pesto judges loved about this recipe was its bright, pea-green color, its creamy weightlessness, and its delicately layered flavors. I know I’ve never made pesto that could match that description, so it’s time to step up the game, right? 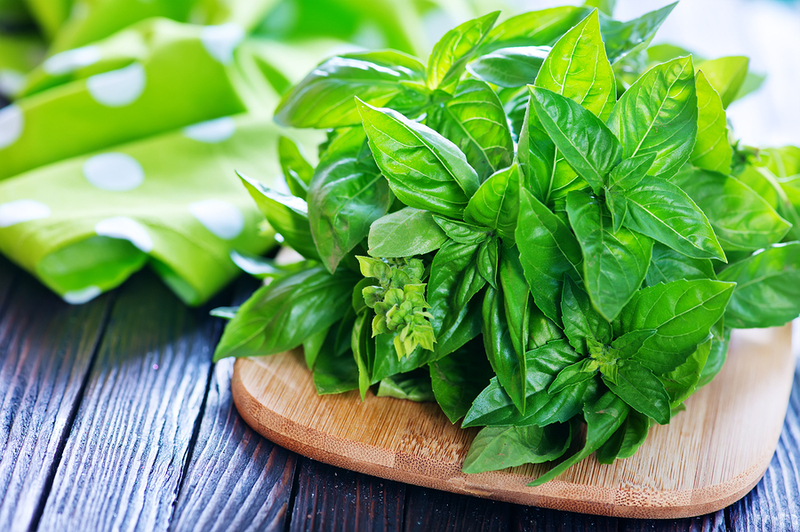 Wash the basil leaves in a big bowl of cold water, changing out the water as needed if the leaves are sandy. Add the pine nuts and salt to a blender, along with 1/2 cup of the olive oil, or enough to cover the blades. Blend briefly, then add the basil to the blender, shaking lightly but leaving a bit of the cold water clinging to the leaves. Add a small clove of garlic—Bowien says good pesto doesn’t need too much garlic—and the remaining olive oil. Gently pulse this all together in the blender, letting the ingredients mix with each other organically. The mixture should be smooth and bright green. Add the cheeses and blend the mixture one final time, just until the cheese is evenly dispersed. 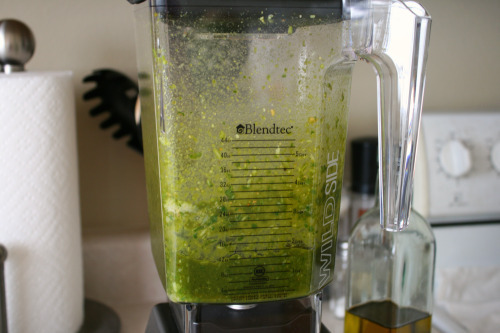 The result should be a fresh, light pesto in a vibrant shade of green. Taste and adjust the salt, cheese, and consistency to your liking. Store tightly covered in the refrigerator for no more than four days or freeze (in ice cube trays or flat in freezer bags). And in addition to the health benefits and nutrients described above, basil has emerged from our food ranking system as an excellent source of vitamin K and manganese, a very good source of copper and vitamin C, and a good source of calcium, iron, folate and omega-3 fatty acids. Finally, one last thought about pesto and garden-fresh basil. 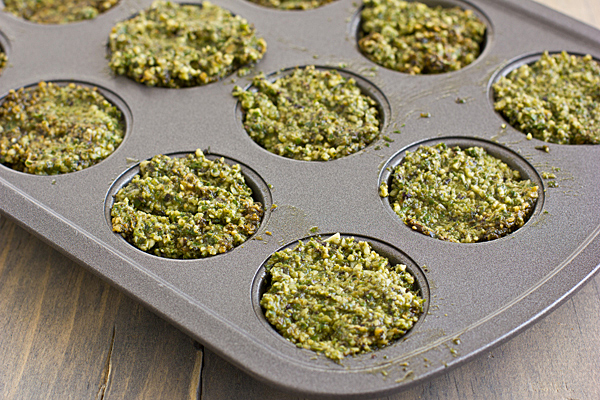 If you have oodles and gobs of fresh basil, you might consider make oodles and gobs of this amazing recipe and then freezing it in a muffin pan. Frozen pesto to use all throughout the winter. Now that’s a world champion idea!